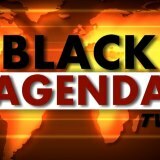 This video is re-posted from Black Agenda Report. Black America and the Genocide in Congo; African Americans have not used their political clout to stop the killing. Obama’s Race to the Top Hurts Black Students, Teachers, Communities; Drives school closings and helps charter profiteers. Black Misleadership Class to Launch “February 30th Movement” to hold President Obama (and themselves) accountable.